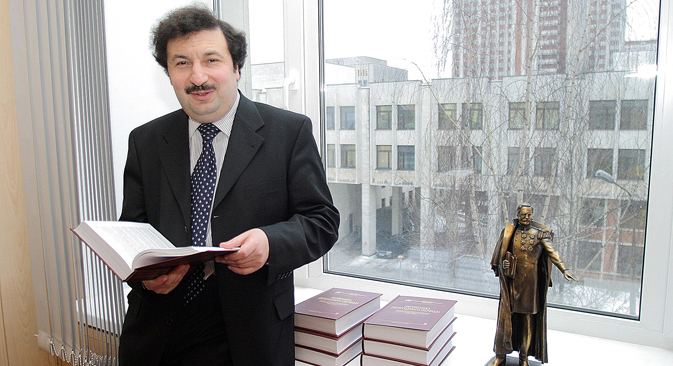 Vladimir Mau, one of the authors of the Russian economic reforms of the 1990s, spoke with RBTH about the challenges facing the country's economy. After oil prices started their now-infamous downslide in September 2014, the Russian ruble suffered a dramatic collapse. In an interview with RBTH at the Gaidar Economic Forum in Moscow, Rector of the Russian Presidential Academy of the National Economy and Public Administration, Vladimir Mau, who was one of the brains behind Russia’s economic reforms of the early 1990s, said that the current situation is similar to what the USSR experienced in its later years. RBTH: Due to falling oil prices and the sharp decline of the ruble, the Russian economy now finds itself in fundamentally new territory. How would you characterize this new reality? Vladimir Mau: As the director of a budgetary institution – the largest university in the country – I love high oil prices. But as an economic historian, I prefer moderately low prices for natural resources, because excess rent income always spoils institutional quality. In the 16th century, the rent incomes in the form of silver and gold that flowed to Spain for 50 years led to the collapse of the most powerful state in Europe at that time. We need to understand that the modern crisis in Russia is above all a serious reason to reflect on our macroeconomic policy. RBTH: Could falling oil prices help Russia reduce its dependence on energy exports and undertake large-scale reform? V.M. : If oil prices remain low, we can assume that we have done away with the “Dutch disease,” which is when it becomes unprofitable to produce any goods besides raw commodities. That gives us the opportunity to decisively suppress inflation without fearing that companies will lose their competitiveness as the result of an appreciated ruble. Russia can also simplify migration law, because the country has become less attractive for immigrants. RBTH: In your opinion, what is the main reason behind the modern economic crisis in Russia? V.M. : Today we are seeing an overlap of several crises. First of all, there is the ongoing global structural crisis, which is leading to profound changes in the economies and policies of the world’s leading countries. Secondly, we are observing a crisis in Russia’s economic growth model of the 2000s, the cornerstone of which was increasing demand – consumption in particular. Thirdly, the geopolitical situation has deteriorated, in connection with which the Russian economy is experiencing a shock from the sectoral sanctions imposed against the country primarily in the financial sphere. This is compounded by the foreign economic shock resulting from falling oil prices – a crucial source of income for the Russian budget. RBTH: How does the modern economic crisis in Russia differ from the 2008-2009 crisis? V.M. : The key difference is that at that time we worked with the whole world to find a way out of the crisis, but now we are searching by ourselves and no one is helping us. In general, the situation is very similar to the crisis that the Soviet Union experienced in 1986. At the present moment, the external shocks for the Russian economy are the falling oil prices and the effect of the sanctions. In 1986 we had roughly the same situation with falling oil prices, superimposed on the anti-alcohol campaign, which deprived the budget of its second most crucial source of income. In 1986, the Soviet government subdued the crisis by borrowing from foreign sources. The USSR entered the crisis with a balanced economy, but it only took four years for the government to collapse, even though within two years the country started experiencing economic growth. The USSR had virtually no reserves and it was a much more rigid economic system. RBTH: Economists have been saying that Russia could respond to the crisis with a mobilization or liberal economic development scenario. Which of these scenarios do you think would be best for Russia? V.M. : The liberalization option has spread throughout the world in the past few decades. China gave us the largest-scale example of that sort of development after 1978, and especially after the student demonstrations in 1989, when economic sanctions were imposed against the country. It was precisely as a result of that liberalization in China that we saw rapid growth in investment and GDP in 1992. There are other examples of accelerated growth based on liberalization, as well – Chile, Finland, Ireland, South Africa, Poland. But I can’t give you any examples of rapid growth in the framework of the mobilization model in the past half century. Read more: Is a banking crisis looming in Russia?